The trip to the Amazon has been postponed, so today finds me taking a two-day time out in Mindo Ecuador. This morning I visited the Butterfly Garden, located three kilometers from town. What a delightful childlike immersion in nature I spent while trying to capture the elusive blue morpho with my camera! Butterflies, butterflies and more butterflies floated past me on gentle currents of air. With stealth-like instincts, the erratic morphos dodged unseen predators. Capturing them with the camera seemed fruitless! One cobalt beauty finally took pity on me! There’s so much to share – (decent images of butterflies!) – but my dance card is filled with more photo opportunities! I am hopeful for some great captures of hummingbirds as I enjoy a very late lunch, and a sunset ‘frog chorus’ will be the finale of the evening! This one landed on my jeans and tagged along for ten or fifteen minutes! – How many butterflies do you see in the background?! A different kind of butterfly blur! Ah! Every so often there’s a great photo moment! (For my artist friends, “Nature” will be the theme for this next week.) 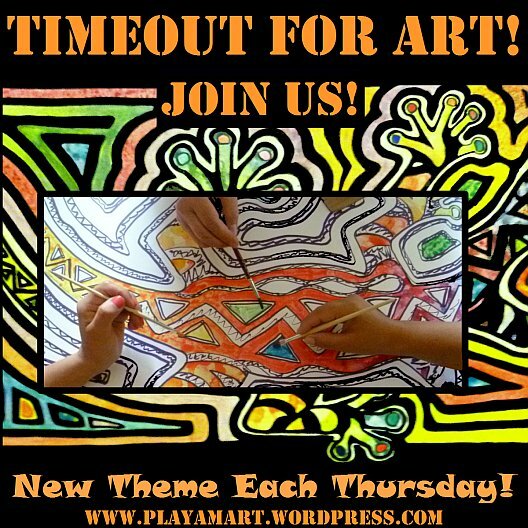 I will be back later tonight with the Timeout for Art post. For now, I’m dashing off to see more hummingbirds! thank you! sarah and her husband eloy helped paint the hummingbirds. they plan to put a transparent roof overhead so that they can use that space more often. here in mindo the sun turned bashful, and the hummingbirds aren’t too active. i look forward to seeing what the frogs have to sing in about an hour! What a fun day. Great paintings Z.
thanks! mindo is a sweet little community in the cloud forest. one can easily recharge one’s batteries here! thank you! the butterfly garden was a refreshing oasis! Yours are the only hummingbirds I have ever seen that make shadows. I love them! What a joy to see you trying to capture these delicate beauties, each one unique. The artwork is beyond description. I am always in awe. We have muralists here on our island but nothing I would want. Yours are outstanding. Even with the Amazon delay you are having fun. thank you so much! i’m glad you enjoyed the colorful hummingbirds and butterflies. the real butterflies here in mindo are lovely. it’s going to be great to see you and ron here one of these days! wow.. i just returned from ‘the frog chorus.’ wow. what a spot! i want to go back and listen/learn again! yes,you will love mindo! it has a very ‘normal’ vibe, there’s no mud or dust on the streets, and the towering bamboo, clear pretty river, sweet people all make it special. it’s lacking your family’s restaurant, however! thank you so much! the 6-dollar price was well worth it! i asked if she sold a week pass or a month pass or a lifetime pass, and she looked at me as if i’d lost my mind! i will probably go back today! AND I love the murals ! we’ll have to brainstorm a project together when i find my way back to SC! Blurry or focused, these butterflies capture a person’s heart. How delicate and colorful. Even the browns and blacks and gold tones are fabulous. And the paintings, well, I would just be repeating myself. Thank you! I’m heading back to the butterfly farm once more before I depart! Great Mariposa pics. Seeing your post got me wondering, what ever happened to “butterfly Mike”? He’s still there in Pueblo Nuevo. It will be interesting to see what’s happening at his place. The butterflies are beautiful and I love what you did with the art. Gorgeous colors!! Have a safe and fabulous trip! I love the murals – they’re so gay and light and colorful. Great work, and I’m glad the butterflies weren’t ALL a blur! Yes, it’s difficult to catch those morphos when they’re flying; when the wings are folded, all one sees is the dark browns. When the sunlight hits that blue, wow! The time just flew by in a blur. 🙂 I loved the butterfly that attached itself to your jeans. I forgot about the butterfly until much later when I knelt to the ground for a photo and brushed it with my arm! Oops! Stunning little creatures aren’t they? So beautiful, love them – I can see them already in your future works. Nice way to spend some unplanned time off. yes; i’m here with brushes but no paints! i can’t believe that i left my watercolors at home! i might tip up to the supply store and see what kind of paints they have! wow! so is your comment!!!! i’m impressed! My first introduction to the blue morpho was in Costa Rica when we hiked to a waterfall. I was enchanted! Your “life butterfly” is splendid. And look at that second photo – it’s not so colorful as the first, but that curled proboscis is just amazing. You did well with that one! Thanks amiga! I was the only one in the gardens and felt like a child in wonderland! Beautiful shots even with the blur! I see 5. Were there more? Love the blues work of the butterflies! And the hummers too! yes, there is a cluster of them in the background! i’m about to go back to the butterfly gardens for one last visit before embarking on a 7-hour trip home! Have a great time! Be safe on the road home! thanks! i made it home and am enjoying a quiet day on the river!